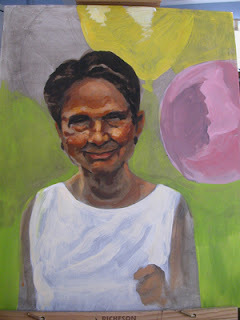 Here is a portrait I attempted of my late grandmother. 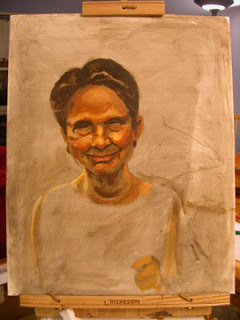 I still have a lot to learn about painting and portraits. I feel on this one I started out pretty good and kind of got lost as I went along. But I learned a few things along the way. This one was done in acrylic on canvas. 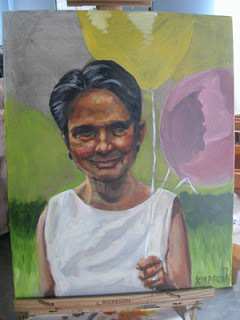 If you want to see some really inspiring acrylic work, check out my link to Kruger's blog on the right. I spent a lot of time looking at that for motivation. I have a long way to go, but I'm enjoying the process.